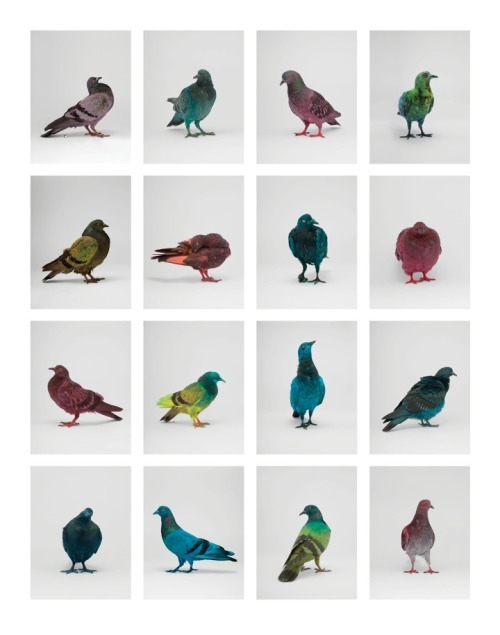 Artist Julian Charriere dyed 35 pigeons with a ‘pigeon apparatus’. The machine works as a bird trap with a conveyor belt mechanism, ones inside the machine the pigeon get automatically airbrushed in different colors. The machine was installed for a week on a roof in Copenhagen. Afterwards the colorful birds were released once again to mingle with the other pigeons in the wild.